Most people have heard of Ibiza’s clubs and Majorca’s resorts. However, the Balearic Islands have so much more to offer than parties and sun-bathing. In these islands you can find some of the best conserved coasts of the Mediterranean. In honor of getting off the beaten track, here’s a brief introduction on how to escape the crowds and experience all that nature has to offer! The Balearic Islands are an archipelago located east of the Iberian Peninsula. The islands of Majorca, Ibiza, Menorca, and Formentera are the largest, although there are many smaller islands and islets. Their excellent climate, sandy beaches, and laidback atmosphere make the Balearic Islands one of the most frequented holiday destinations in Spain. You can find numerous protected terrestrial and marine parks in this region. Nature is bountiful here and is also unique: geographical isolation has helped create numerous plants and animals species that are endemic to the area. That means they can’t be found anywhere else in the World! Out of about 1500 species of plants, 150 are endemic to the islands. Many rare animals inhabit different parts of the archipelago. One of the most well-known animals is the Lilford's wall lizard. This species only lives on small, rocky islands off the larger islands of Menorca and Majorca and in the Cabrera Archipelago south of Majorca. The lizards used to exist on the Majorca and Menorca, but it is believed that the introduction of cats may have contributed to this lizard’s disappearance. 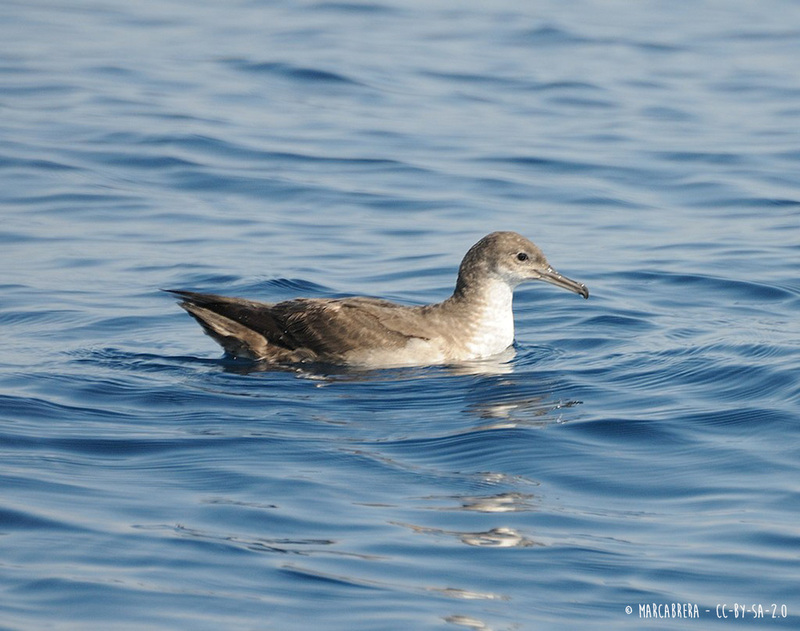 One of the rarest seabirds in the world, the Balearic shearwater, can be found from September through late June in the Balearic Islands. Breeding takes place on Formentera and Majorca, after which the seabird migrates northwards to winter. Try to spot these animals while kayaking around the coast as the summer reaches its end! El Toro Marine Reserve – The water around the island of El Toro is extremely valuable ecologically due to the diversity of habitats and fish. Here you can find large seagrass meadows (Posidonia oceanica) and rocky sea beds. El Toro’s secluded waters are excellent for snorkeling, diving and kayaking. Try a kayak excursion around the island and go snorkeling in a protected cove afterwards. Natural Park of Sa Dragonera – This natural park protects the island of Sa Dragonera, the islets Es Pantaleu and Sa Mitjana, and a group of smaller rocks, Es Calafats. It was declared a protected area in 1995 after an intense environmental campaign which saved the area from being developed into a tourist resort. Today, instead of crowds of people, you will find crowds of the endemic Lilford’s wall lizard. These little reptiles are green-brown in color and from the moment you step foot on land you will spot lizards scampering about everywhere. Sa Dragonera is home to many other protected and endangered species. Discover its calas (coves) from the water through a snorkeling tour in Dragonera or try scuba diving for the first time with a fun dive. Cabrera Archipelago National Park – Here, scuba divers will find one of the best conserved seagrass meadows on the Spanish coastline. This habitat provides essential habitat for many marine animals including groupers, octopi and sea slugs. You can also come across loggerhead turtles or dolphins! If you get a little sea sick, this national park has many activities to try on the shore. There are three public beaches in its bay: Sa Platgeta, Platga d’es Pagès and S’Empalmador. Also, there are several different hiking routes including a trail that goes up to the Cabrera castle. Click here to find a dive tour around Cabrera Island. Menorca all around. A biosphere reserve, Menorca's coastlines offer a diversity of landscapes, from caves, to beaches to dramatic cliffs. 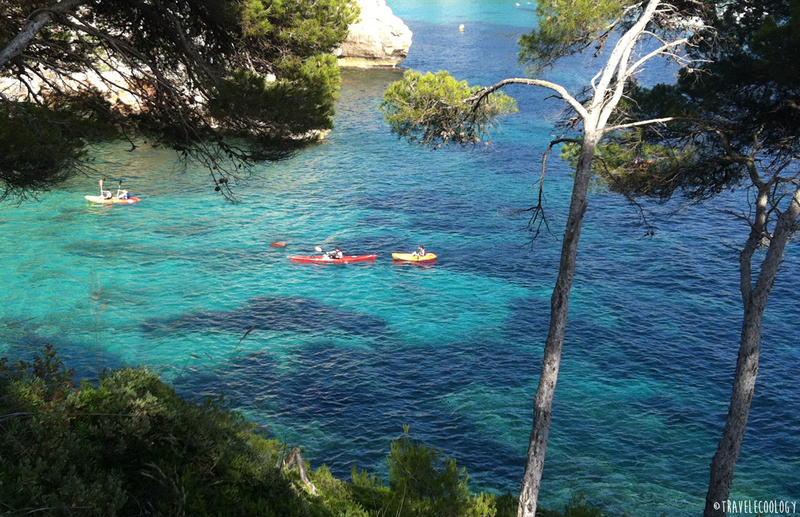 A half-day kayak Tour will allow you to explore dozens of caves following the Cales Coves route in the South, or to navigate along stunning landscapes of wild beaches and visit remote islets following the Mongofre route in the North. If you cannot decide which route to follow, go for a full adventure and take part in an 8-day kayaking trip circunavigating the whole island! Partake in a research expedition – Sail around Mallorca learning about the marine biodiversity of the area and helping an international crew of scientists gather data for a new large-scale marine national park. Go diving – Depending on your level of scuba experience, go on a try dive in Mallorca or Menorca. Alternatively, get your PADI open water certificate in Majorca then island hop to go diving in Menorca. Go snorkeling - Learn about the colorful marine wildlife firsthand with a professional snorkel guide in Majorca. This summer, seas the day and dare yourself to venture to parts less-traveled. Please remember that some of the areas mentioned above are protected and of great ecological value. It is vital to respect designated areas and to not feed the wildlife. Check here our Top 5 Golden Rules for marine wildlife watching and have a great holiday!